LASALLE's McNally Campus is an exercise in sheer imagination. Conceptualised and designed by Singapore-based architectural firm, RSP Architects, it represented Singapore in the architectural section of the Venice Biennale in 2004 and won three international architectural awards: PUSH Award 2009, Singapore Institute of Architects; Building of the Year Award 2008, 9th Singapore Institute of Architect’s Design Awards; and President’s Design Award 2008. Its open campus design is inspired by geology. Six organically shaped buildings, seven storeys high, feature inroads and alleyways running between them – much like lava flowing through a valley and canyons created by natural geological processes. This can be likened to the creative forces pouring from the students and teachers within. The entire campus is a living sculpture and a contemporary architectural masterpiece that serves as a major landmark within the cityscape. It invites visitors to enjoy and explore the grounds and witness the creation of art. Situated in the Arts, Culture, Learning and Entertainment hub of Singapore, the city campus encourages interaction. Through its glass facade and gateless walls, the design provides many platforms for boundless interaction and inspiration. In keeping with the integrative nature of contemporary art and design practice, multiple break-out spaces and skybridges encourage diverse art forms to coalesce and co-mingle, providing an inspiring learning environment for students to spark creative collisions. Architecturally unique and designed as an integrated arts campus, the LASALLE compound offers students an impressive array of performance and exhibition spaces for learning and showcasing. LASALLE’s unique learning environment encourages interdisciplinary interaction and a holistic approach to contemporary practice. 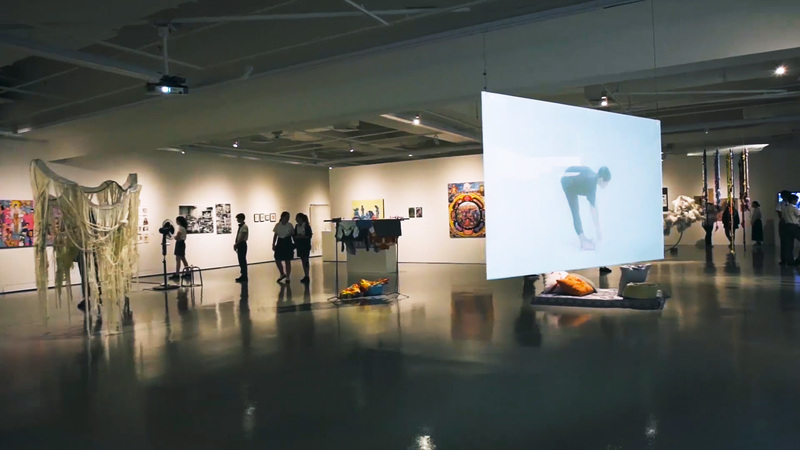 On any given day, you are exposed to the various creative disciplines – you could be viewing an exhibition by an international artist, then attending a lecture by a guest designer, followed by a concert at lunchtime and critiquing a fellow student’s work-in-progress, and finally, helping your friends with their film project. breaks. Find out more about venue hire. The Ngee Ann Kongsi Library houses an extensive specialist arts-related collection of publications in both hard and electronic forms. Visit the library portal to find out more about using the library or to browse the available resources.